The latest version of Hubble's Hubble Ultra Deep Field. A. S. Borlaff et al. What you are seeing below is the deepest image of our universe to date, bejeweled with the glow of 10,000 galaxies and looking back about 13 billion years into the past. Far out, man. 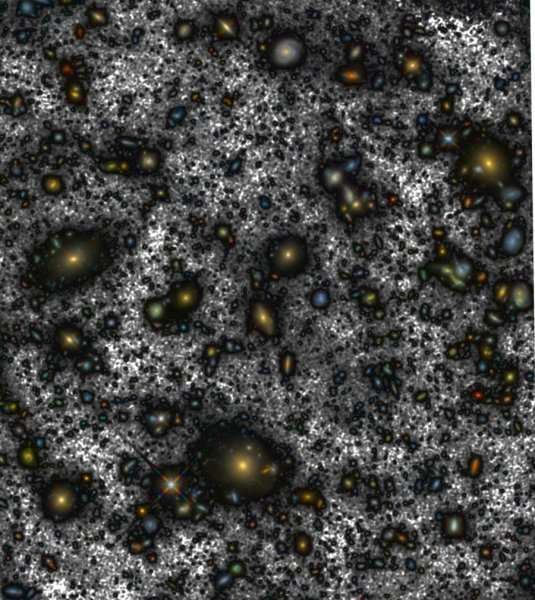 The Hubble Ultra Deep Field (HUDF) is a mosaic of hundreds of images taken through hundreds of hours of observation by the Hubble Space Telescope (HST) between September 2003 and January 2004. Later incarnations of the image have been produced intermittently over the years, with newer versions using different wavelengths of light or processing techniques to draw out new details. This latest revamp is the fruits of almost three years of work carried out by a team of astronomers led by the Institute of Astrophysics of the Canary Islands (IAC). Reporting in the journal Astronomy & Astrophysics, the team explains how they “deepened” the image using an imaging technique, called ABYSS, which is able to preserve the properties of the low surface brightness. In other words, it’s able to draw out “lost” lingering light from larger galaxies that was not captured in previous editions. 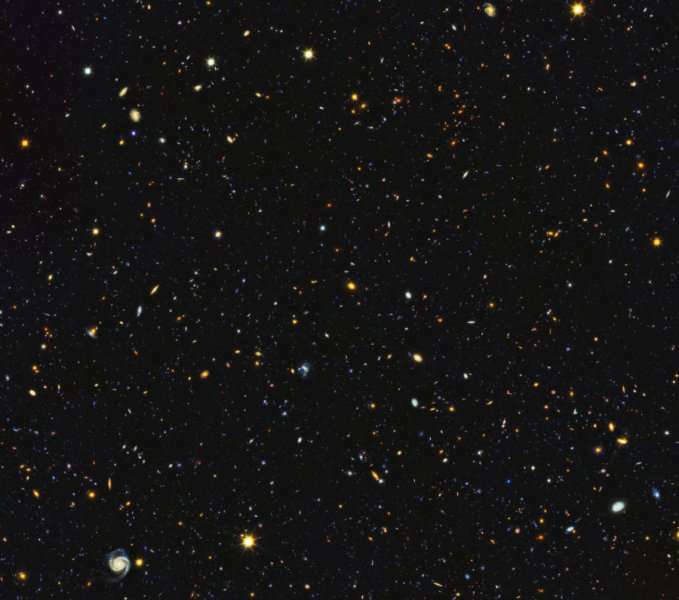 The dark grey color shows new light that has been found around the galaxies, while the lighter grey is used to depict the "fainter" background light that's beamed out of more than 100 billion stars. “What we have done is to go back to the archive of the original images, directly as observed by the HST, and improve the process of combination, aiming at the best image quality not only for the more distant smaller galaxies but also for the extended regions of the largest galaxies,” project leader Alejandro S Borlaff said in a statement. Granted, it might not be as sleek and Instagram friendly as previous renditions (pictured below), but the latest version contains more precious information for astronomers to pick at. For one, it shows that many of the image’s largest galaxies have diameters almost twice as big as previously thought.